Gawalan app provides daily services for people of various cities easily and manages their daily use of regular items like Milk, Newspaper, Fruits, Vegetable and all such types of products. 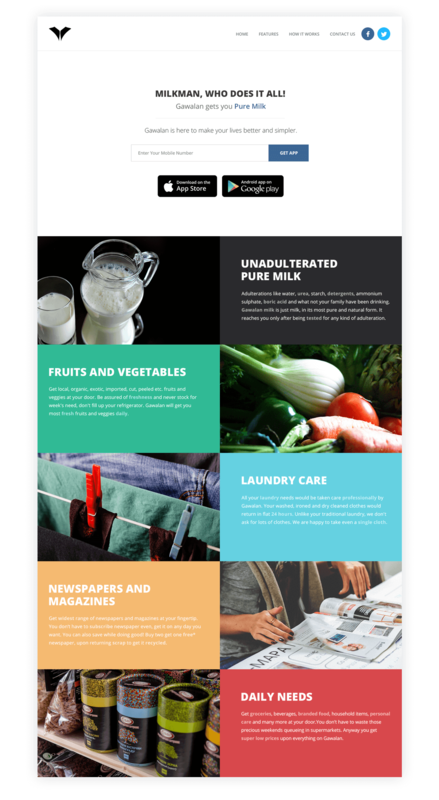 An INDIA based client had an idea of creating business that would facilitate every cities user to easily manage their daily use of regular items Milk, Newspaper, Vegetables, Fruits, Grocery etc. The client needed his idea to be converted into reality by developing two different mobile apps: one for users on both Android and iPhone and another one for delivery boy on android mobile platforms. Given the opportunity, Agile Infoways designed, developed and released the pixel-perfect and flawless apps for both platforms with a good back end to manage all the modules and data easily. Great Achievement We’ve Desired For The application is completed providing the ease to order daily items like milk, vegetables on a daily basis. This app provides huge simplicity in the process of product buying and hence make a user happy and satisfied.